Everyone wants a piece of Nashville. Whether you’re a historian visiting state capitals or you just want a weekend in the seventh fastest growing U.S. city, there are a lot of reasons to visit Nashville. Photo courtesy of Loveless’ Facebook page. The freshly made biscuits alone are worth the 35-minute drive from downtown to Bellevue. 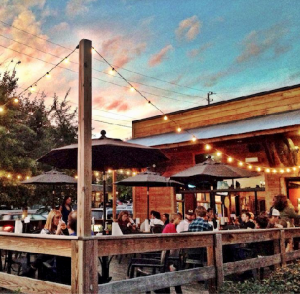 Add preserves, reasonable prices and delicious food, and the two-hour wait on the weekend doesn’t seem so long. 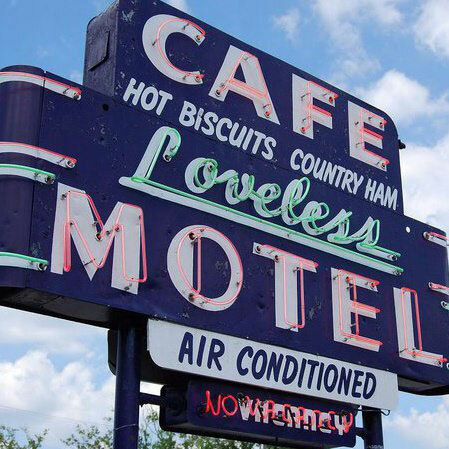 Plus, while you wait you can explore the Loveless shops that feature Hams & Jams Country Market, Lil’ Biscuits, Shimai Pottery & Gifts and Faithful Places. Photo courtesy of Robert’s Western World’s Facebook page. What’s a visit to Nashville if you don’t walk down Broadway? Not much of one is the answer. From honky tonk bars to street vendors and performers, Broadway is filled with all the things Nashvillians like: booze, food and music. Skipping it is tantamount to going to New Orleans and missing Bourbon Street. Or touring Paris and avoiding the Champs-Elysees. In other words, brave the crowds and start walking. 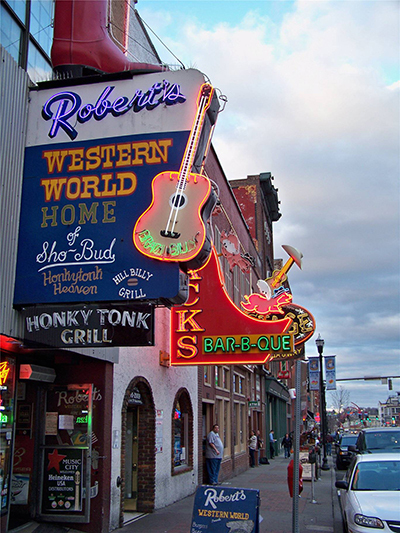 Stop by Robert’s Western World to have their signature fried bologna sandwich, a Moon Pie and a ice cold PBR while listening to some of the hottest country musicians do their thing on stage. In addition to being home to the full-scale replica of the original Parthenon in Athens, Centennial is the perfect place to take in all of the culture that permeates the city. From drum circles to Shakespeare to crafts fair and more, there’s always something to do, see or buy, food included. There is no shortage of events to take advantage of or you can just take a walk, admire the garden or feed the ducks. 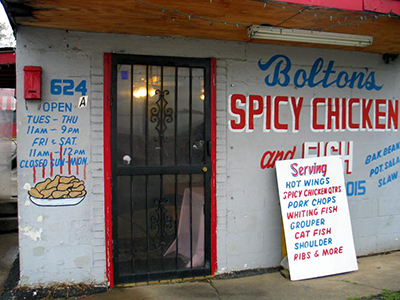 Nashville is the hot chicken capital of the world, and Hattie B’s, Prince’s and Bolton’s are its undisputed leaders. 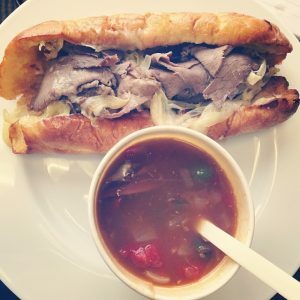 Prince’s only takes cash and is 20 minutes away by interstate. To avoid the long line at Hattie B’s (yes at both locations), go during an off-peak hour (between 1:30 and 4:30 p.m. is a good window), and remember there’s usually an evening rush as well. Don’t forget that Bolton’s now has two locations to choose from: the original on Main Street in East Nashville or on Franklin Pike in Melrose. Photo courtesy of Country Music Hall of Fame’s Facebook page. You can’t come to the breeding ground of country music and not visit the Country Music Hall of Fame. Open every day from 9:00 am to 5:00 pm, take the time to relish in the people and things that made country music great. Check out the wall of hit records, Smokey and the Bandit II’s Trans Am, and Elvis Presley’s gold piano and Cadillac. In addition to the exhibits, there are regular guest performances and interviews with country artists, musicians and songwriters. 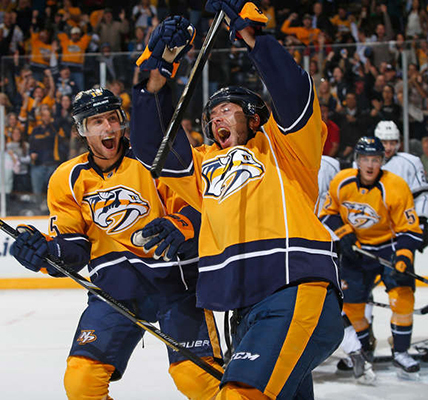 Photo courtesy of the Nashville Predator’s website. People always think Tennessee Titans when they think Nashville, but depending upon the season, there are other sports to be had. A Sounds baseball game is great, or the Preds, if you’re lucky enough to score a ticket. Every game includes lots of crowd involvement, and the diehard hockey fans — and we do have those — do all the work of getting the place revved up, so it’s a blast even if you’re not a hockey fan. Plus, there’s music, as you would expect from Music City. Photo courtesy of Nashville Symphony’s Facebook page. 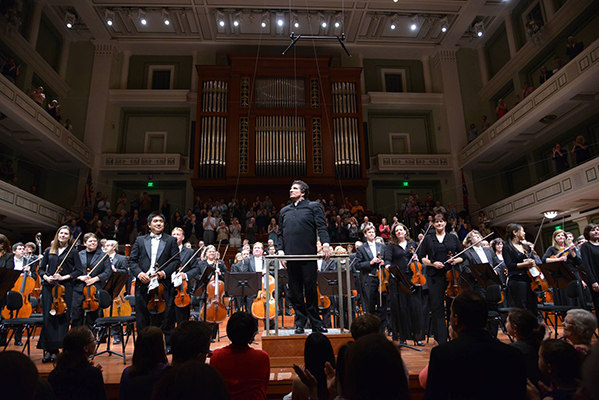 The music coming from the stage of the Schermerhorn is only the icing on the cake. From the organ pipes hanging center in the room to the dangling chandeliers, the atmosphere is often as memorable as the music. 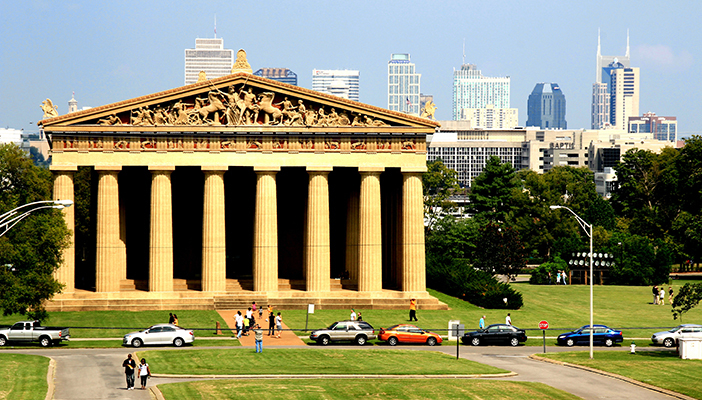 Plus, the sound in the Schermerhorn is amazing — you have to hear it to believe it. Conductor Giancarlo Guerrero and his world-class musicians are equally magnificent, whether they’re performing a classical piece by Mozart or playing the soundtrack live behind movies like West Side Story. Tours are given free of charge on most Wednesdays and Saturdays. Photo courtesy of The Bluebird Cafe’s Facebook page. Famous for being the small stage that launches big names, there’s no better place than the Bluebird Café to see great songwriters up close. 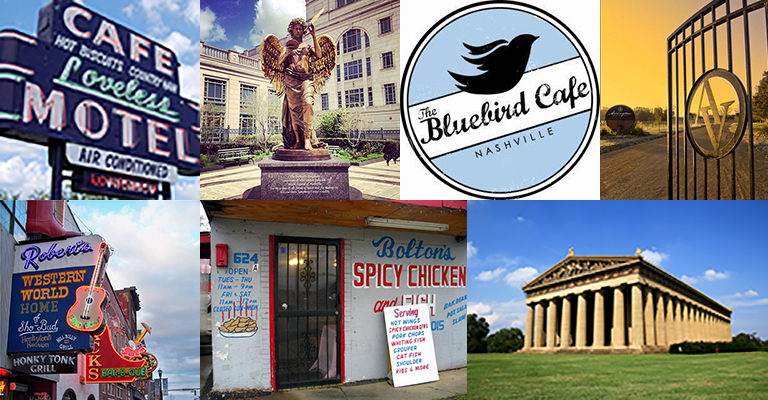 Featured frequently on the ABC hit series Nashville, the energy of the Bluebird gives you an idea of what it’s like to be a part of country music history. Garth Books, Don Schlitz, Paul Overstreet, Faith Hill, Pam Tillis and Patty Loveless are few who have frequented the Bluebird. You’ll also hear the songwriters behind some of the biggest hits in country, and to us, that’s the best part. But beware: Don’t talk during the set or you’ll get some serious dirty looks and shushing from the staff. Photo courtesy of Arrington Vineyards’ Facebook page. 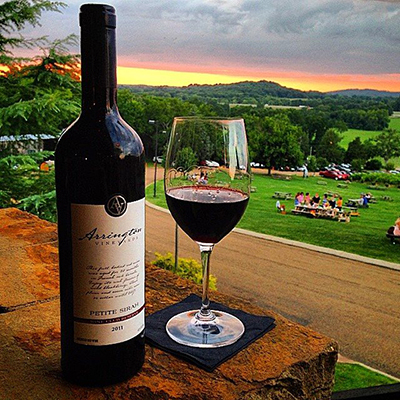 Located 40 minutes south of Nashville, Arrington Vineyards is a great place to escape for a relaxing afternoon. Tastings are free and feature a variety of wine. To beat the line, get there early — Arrington is open Monday through Saturday at 11 a.m. and Sundays at noon. 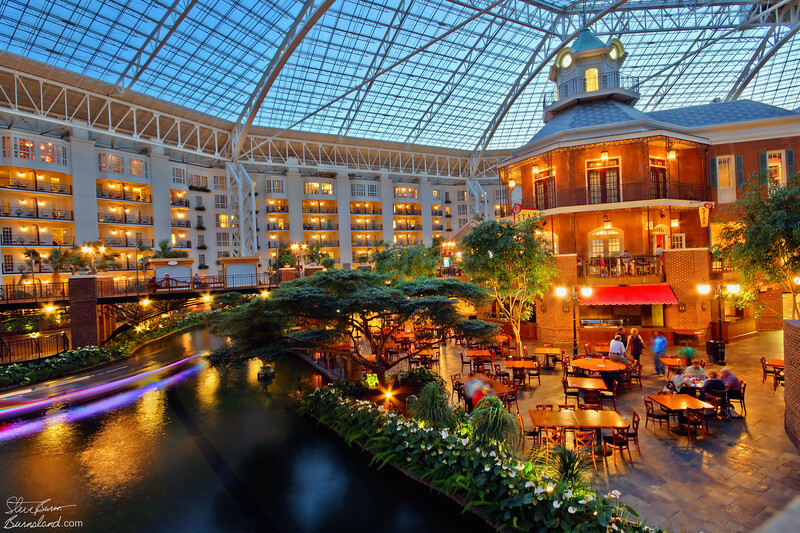 After all of that adventure visiting all the town hot spots, wind down with a relaxing day of shopping at Opry Mills. The traffic will be heavy, but you’ll be glad that you came and you can also hit up Opryland Hotel, which is located behind the mall. Bonus points if you go at Christmas — their lights and attractions are a must for adults and kids alike. 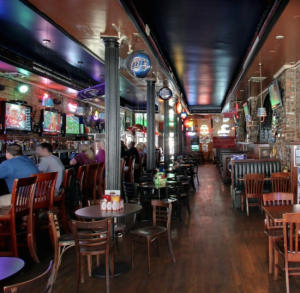 Need a place to eat, relax or watch the game with your visitors?